What does it take to make Westchester County run smoothly? 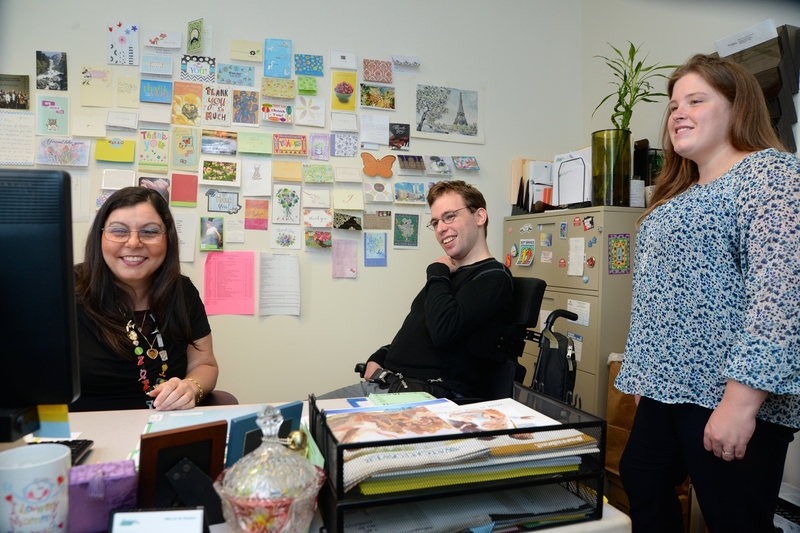 Ask CAREERS client Jacob (pictured above with Fadiya Abassi from the Westchester County Office for the Disabled) and his CAREERS Employment Specialist Alicia Lehra. He spent the morning of October 15th learning the ins and outs of County employment during Mentoring Day 2014. 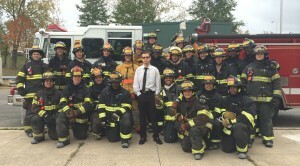 CAREERS’ client Anthony F. tries his dream job as an EMS worker at the Westchester County Department of Emergency Services in Valhalla with new friends – the firefighters who were training on site. Participants from CAREERS, Institute of Applied Human Dynamics, Culinary Tech Center, Carmel High School, PARC and WARC were placed with volunteer mentors from Putnam and Westchester County government departments as part of National Disability Mentoring Day, coordinated annually by CAREERS Executive Director, Tina Cornish-Lauria. In Putnam, County Executive Mary Ellen Odell welcomed participants and mentors at Cornerstone Park in Carmel, then met again at the end of the day to discuss their unique experiences, as each received a certificate of appreciation for their participation. Comments ranged from “Totally Awesome” and “Amazing” to, “There was not enough time” and “I wish we could do four a year”. Putnam County departments participating included Consumer Affairs, County Clerk, Health Department, Youth Bureau, IT, Office for Senior Resources and the County Executive’s Office, among others. Participants worked side by side with mentors for several hours labeling mailings, landscaping, performing data entry and assisting with recreation activities, among other tasks. In Westchester, Deputy County Executive Kevin Plunkett honored Mentoring Day participants with a certificate at the close of Mentoring Day. Westchester County Departments participating included Human Resources, Finance, Office for the Disabled and Tourism. CHS student Nicole’s favorite part of Mentoring Day? “I liked making a milkshake!” Nicole is pictured with Scoops-n-More owner Theresa Morris and Health Department staffer Mike Luke. Robert Morris, Putnam County Director of Environmental Health, looks forward to the annual event, and planned a full morning for participants. 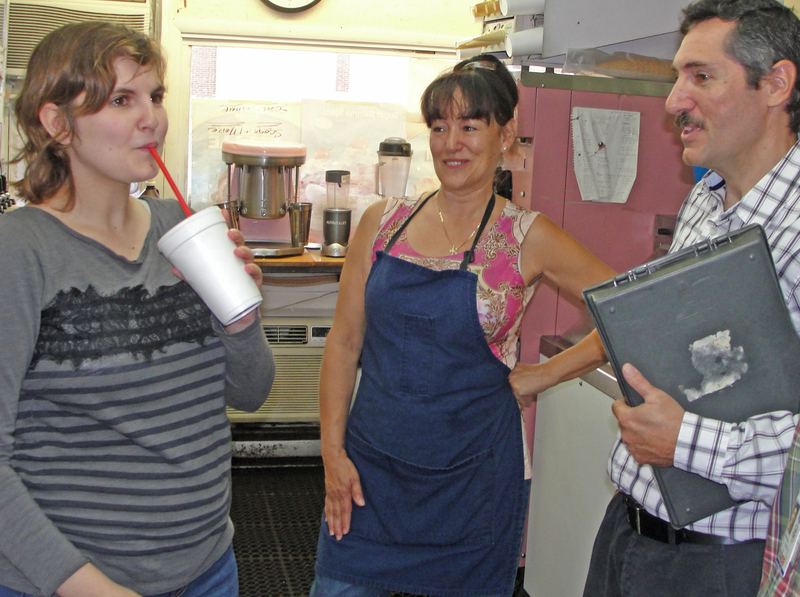 CHS student Nicole F. started her morning making and tasting a milkshake at “Scoops-n-More” in Carmel, then went on to visit other restaurants and markets, with Health Department staff explaining their roles as they visited each site. Click here for more photos from Mentoring Day 2014.